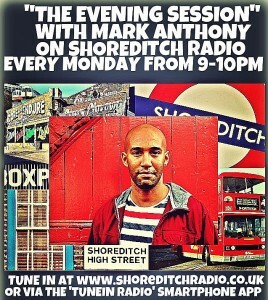 Mark Anthony hosts ‘The Evening Session’ radio show on Shoreditch Radio every Monday evening from 9-10pm (GMT). 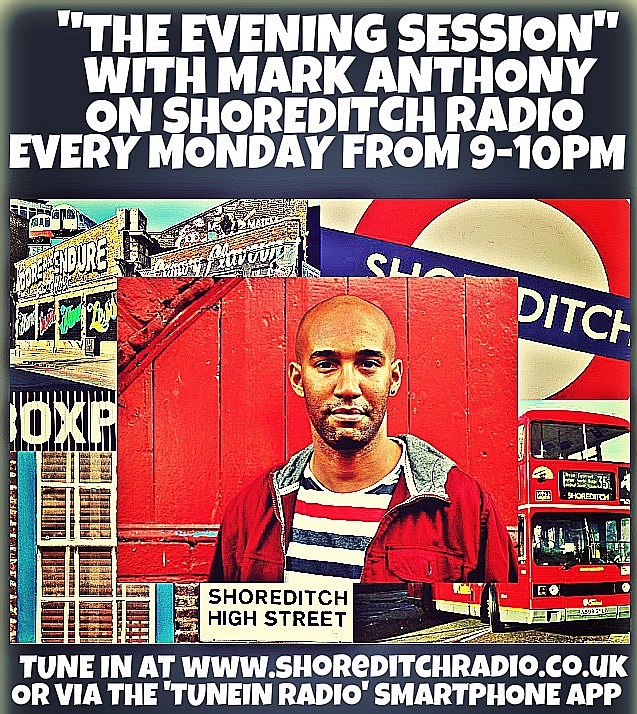 Previous guests on the show have included Steve Norman (Spandau Ballet), Dave Rowntree (Blur), Brian Travers (UB40), Steve Hackett (Former Genesis guitarist), Mark Bedford (Madness), Andy Bell (Erasure), Horace Panter (The Specials), Tony Mortimer (Singer Songwriter & Former East 17 member), Paul Danan (Actor), Simon Bartholomew (Brand New Heavies), Neville Staple (Singer Songwriter & Former member of The Specials & Fun Boy Three), Dele Sosimi (Afrobeat Singer & Keyboardist), Dez Mensah (Singer Songwriter & Former member of The Risk), Alfie Jackson (The Holloways), Terri Walker (Singer Songwriter) & Nate James (Singer Songwriter). 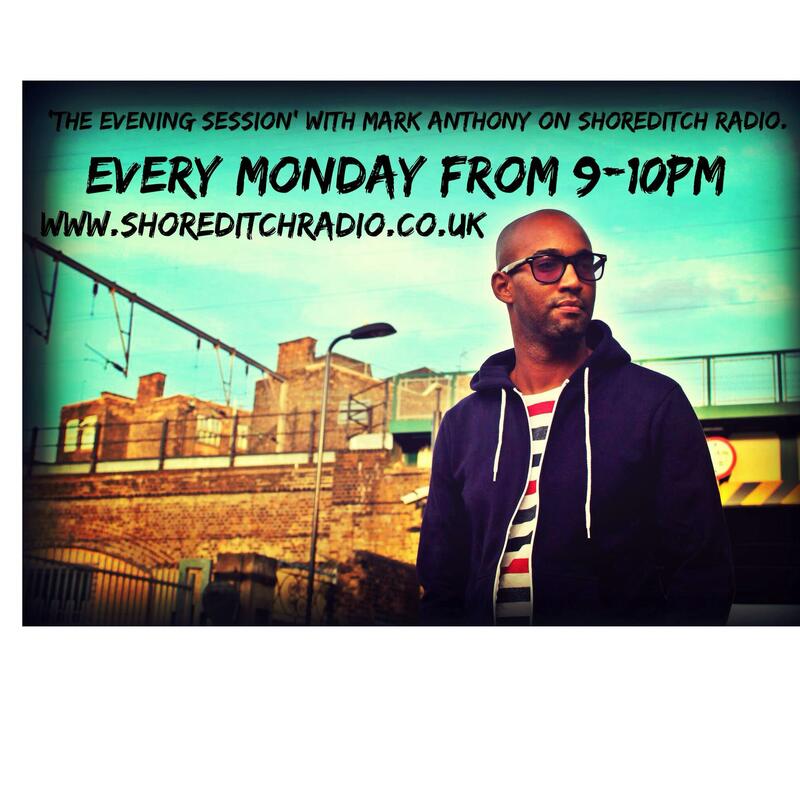 Click on the links below to listen to some of his previous shows. 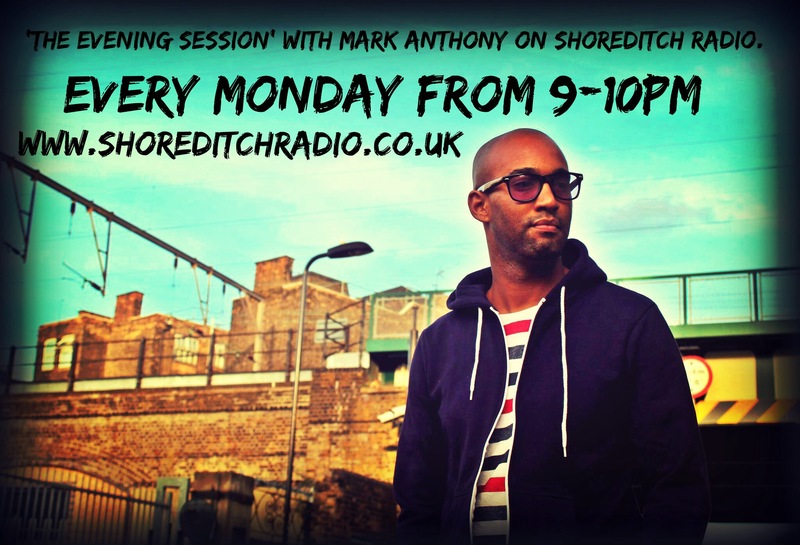 Mark Anthony © 2019. All Rights Reserved.